The historic Ebell Club of Long Beach, a longstanding and stunning piece of elaborate Spanish Baroque architecture, has undergone a beautiful renovation by Alan Dunn of Los Angeles’ Carondelet House and Très L.A. Catering. 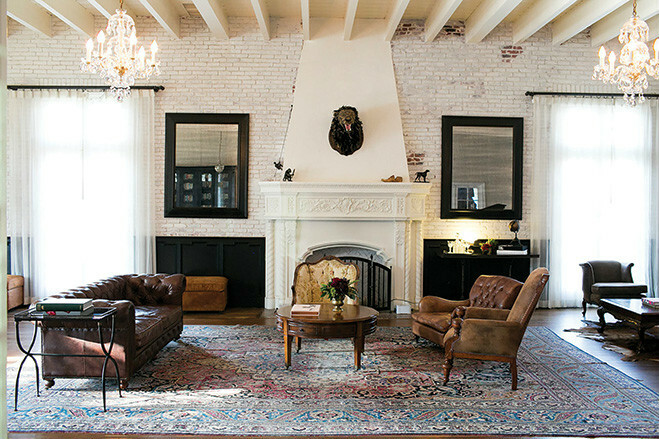 The landmark building, constructed in 1924, features 25,000square feet of meticulously restored beauty, from hand-stenciled ceiling beams and exposed whitewashed brick to dramatic crystal pendants and detailed ironwork. Thoughtful touches include the library’s baby grand piano and seating vignettes, the fully furnished bridal suite andthe dramatic ballroom with exquisite details, such as a mirrored fireplace mantle and contemporary artwork. The skylighted courtyard is ideal for cocktail hour and features anindoor-outdoor setting with a restored fountain, mosaic tiles and period arches. And with Très L.A. cooking in the newly added commercial kitchen, all the pieces are in place to make this a seamless venue choice. Conejo Valley’s Epona Estate, a privately-owned 40-acre vineyard and ranch set among California oaks and eucalyptus trees, boasts sweeping views of the Santa Monica Mountains. 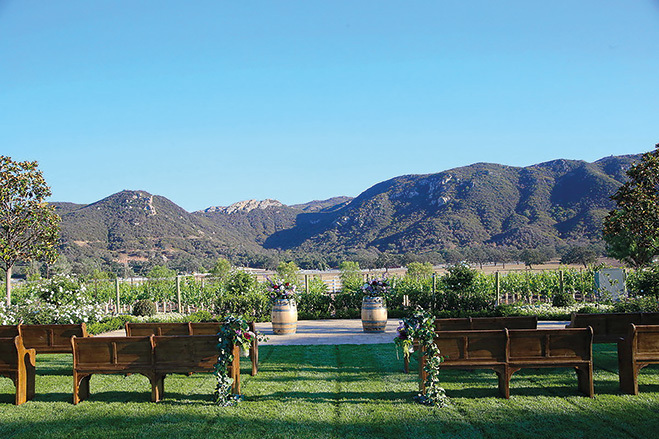 Tucked into the exclusive Hidden Valley, the magical “Venue in the Vines” has four garden areas, including a formal rose garden and a waterfall and bridge—all of which serve as beautiful backdrops for saying “I do.” Wooden structures strung with lights and vast open grounds leave room to imagine the perfect outdoor wedding, from modern to rustic.